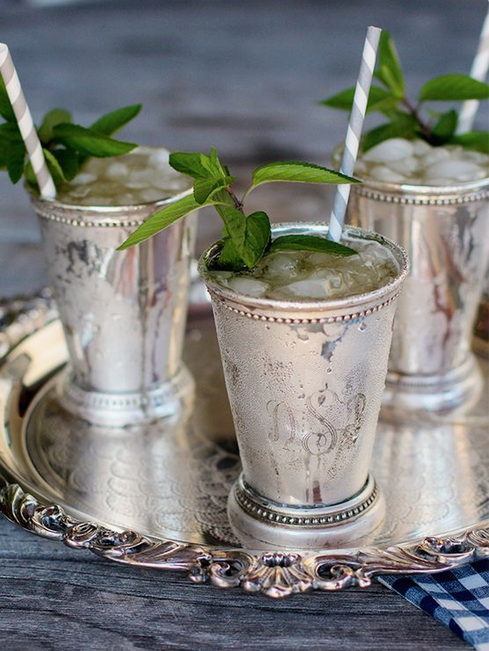 20 incredible ways to rock a mint julep cup! Hello from freezing NY! Not only did we not even get snow, all we were left with were frigid temps. NO THANK YOU. Moving along, love mint juleps and if you think they are only for the Kentucky Derby then think again! This post might just have you rethinking how many ways a mint julep can really be used. 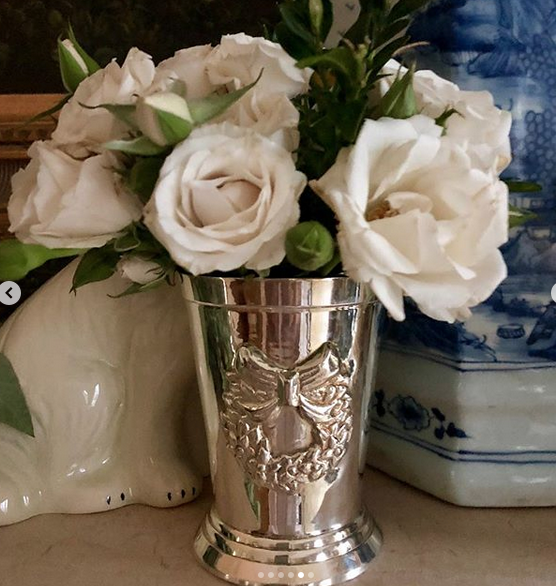 In creating and carefully curating my silver collection, I have added many styles and sizes of the almighty mint julep cup. 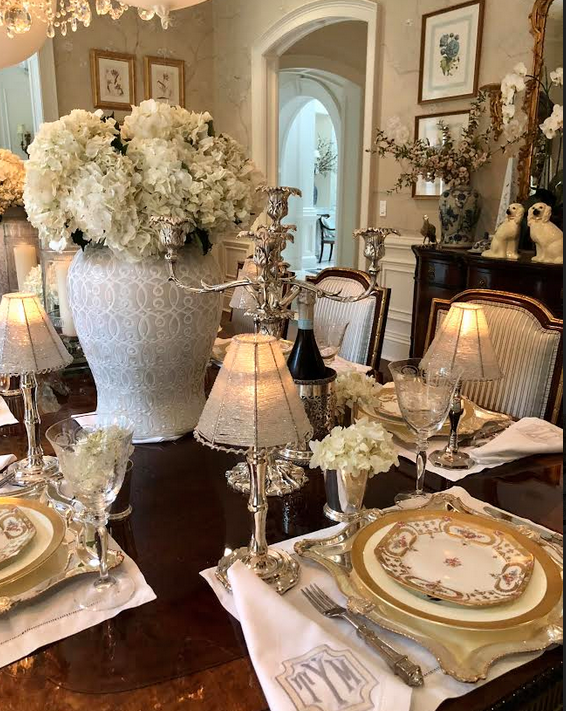 In fact I might even think I have one of the biggest selections out there of mint juleps and it’s still growing with a few new styles on the horizon. I even created a horseshoe mint julep for the Derby, an acorn and fall leaf for fall and a Christmas wreath for the holidays! Who knows what might be added in 2019:) Because I have used mine in so many different ways thought this make a fun post to show you how versatile they really are. And in case this post gets you thinking you need a mint julep in your life, today and tomorrow all mint juleps are 20% off! So lets take a look at just how many ways they can be used and if you have some of your own ideas, would love to hear about them……. Now of course it goes without saying a mint julep is perfect for a mint julep but there are so many othet ways to use this super verstaile container! They make the best utensil holders! 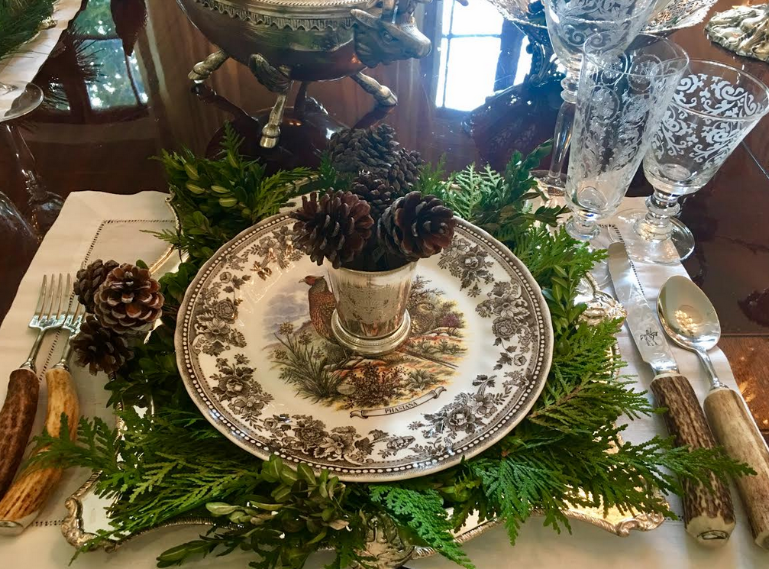 And for this holiday table, added one to each place setting with a few pine cones inside…it’s those extra little details! 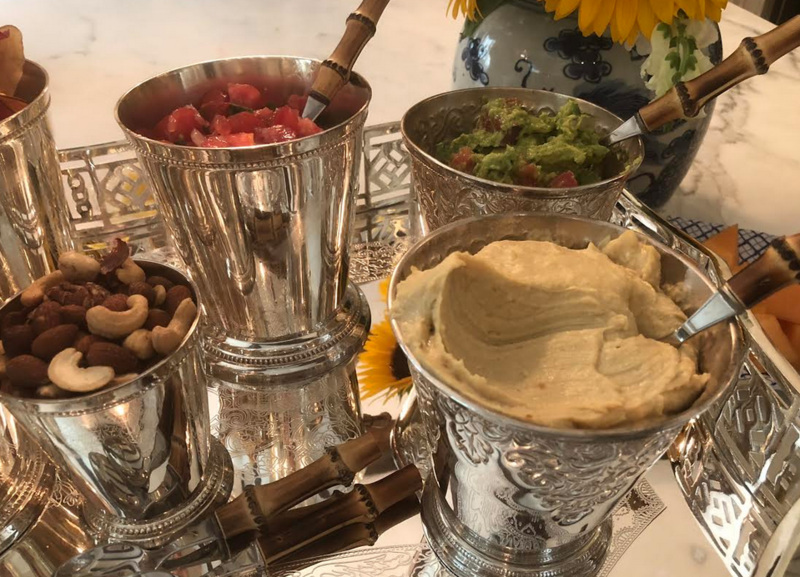 One of my favorite ways to use them is as condiment holders…here I made a big snack tray and filled them with nuts, hummus, brushetta, guac, chips, etc…sky’s the limit! 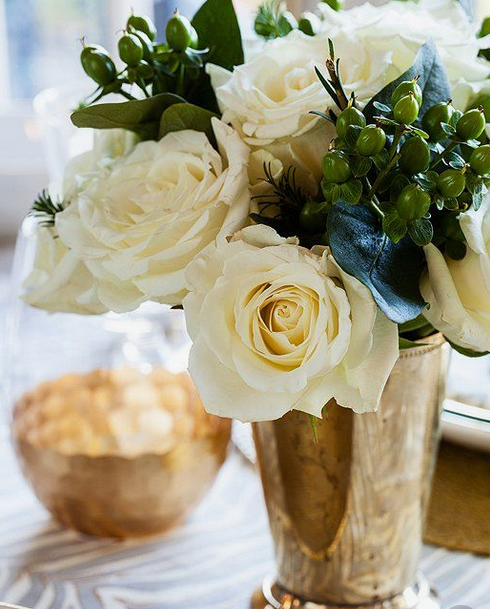 They make the prettiest bud vases! 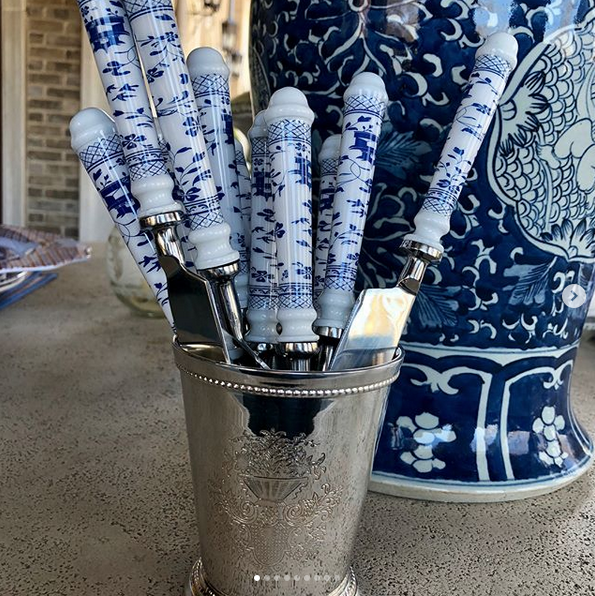 Martha Stewart shows how stylishly these work at a bar! 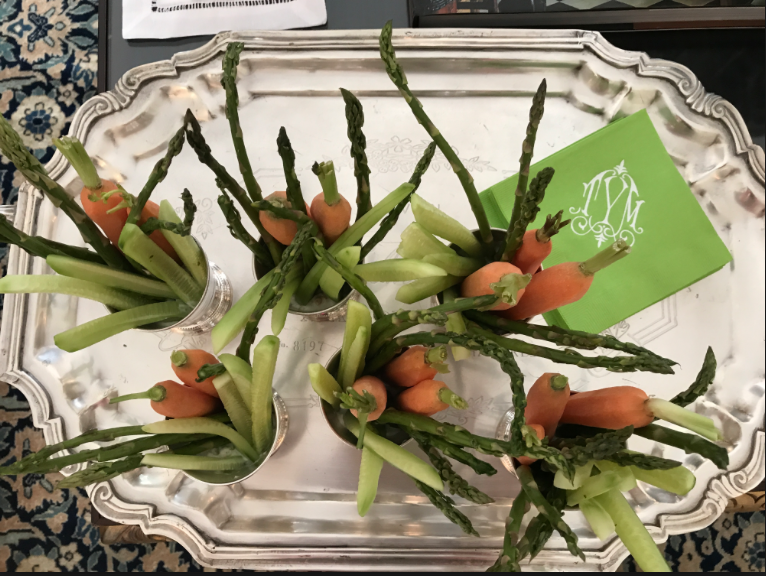 For this luncheon I had prepared individual crudites not only are they so pretty but they are easy to eat this way too. 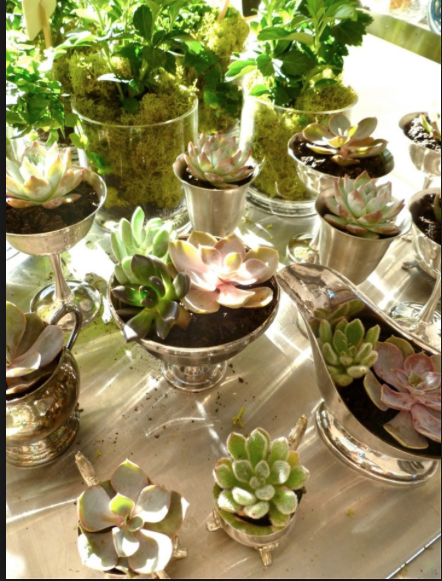 Even potted succulents look gorgeous in mint juleps! 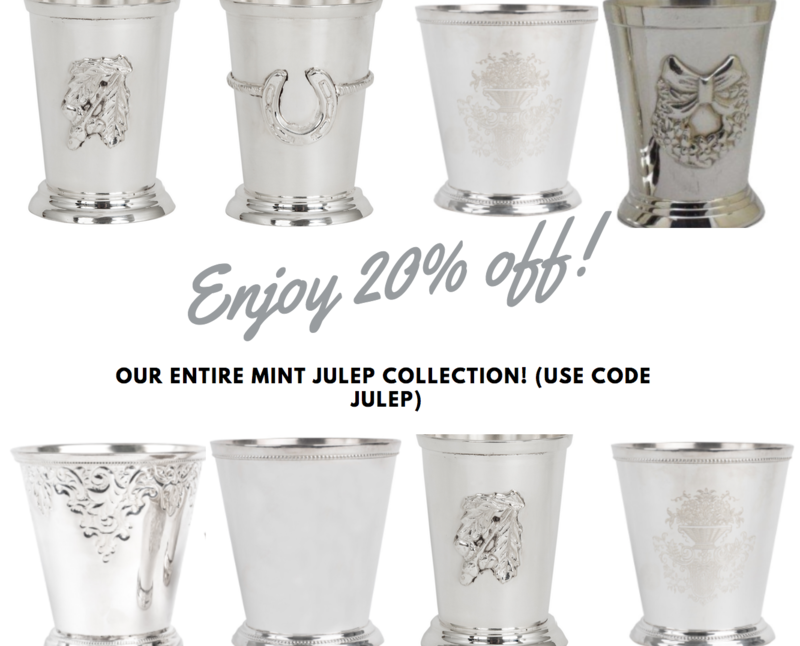 Like I mentioned earlier if you are suddenly realizing you need a mint julep or two, enjoy an extra 20% off today and tomorrow. Use code “julep”. 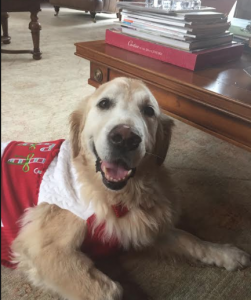 Click here to see the entire collection. WOW! 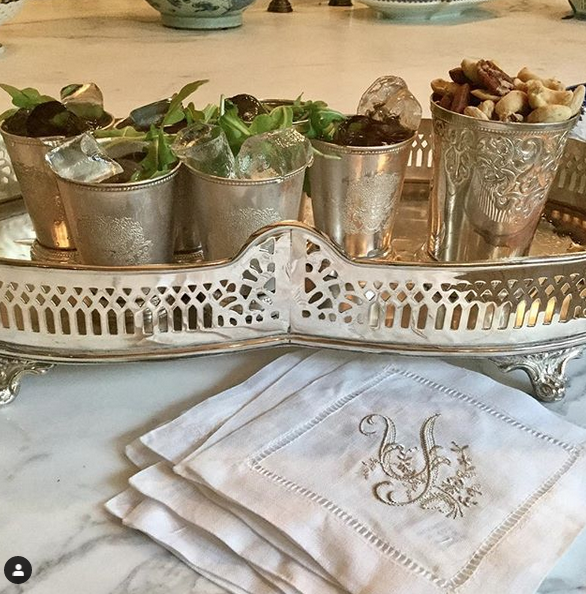 OS CREATIVE WITH THE SIMPLE MINT JULEP CUPS……. WHO KNEW? 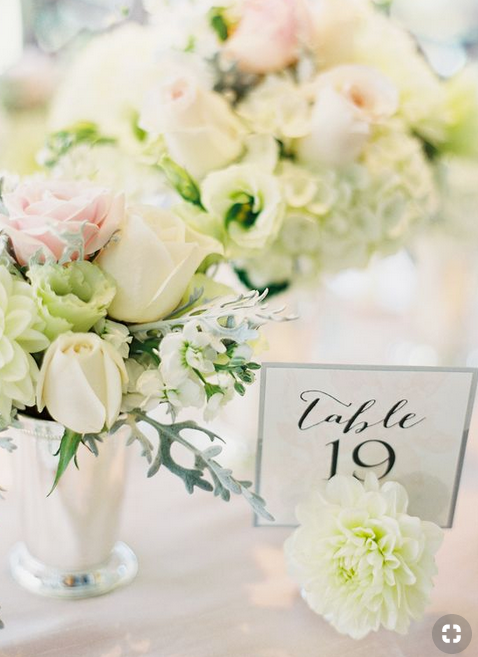 I am loving all this inspiration! Also great to use for overnight guests: as a container for new toothbrush, mini toothpaste, etc. 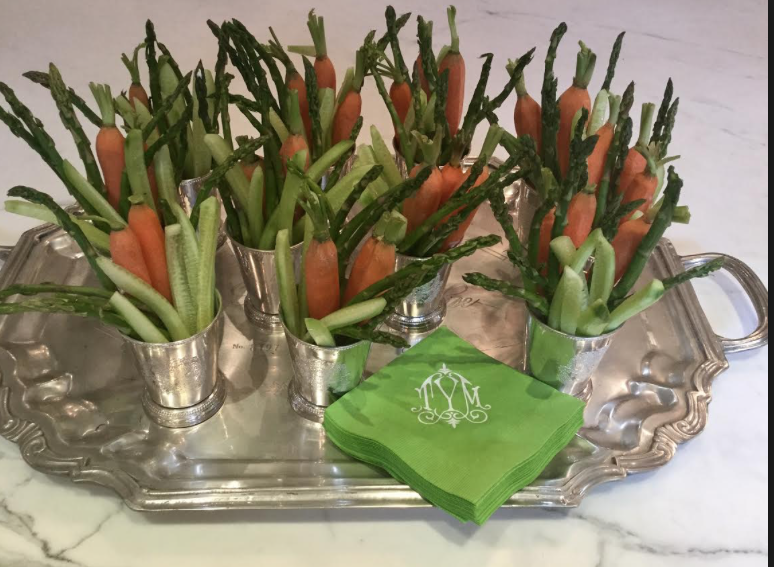 The individual crudite cups are brilliant! 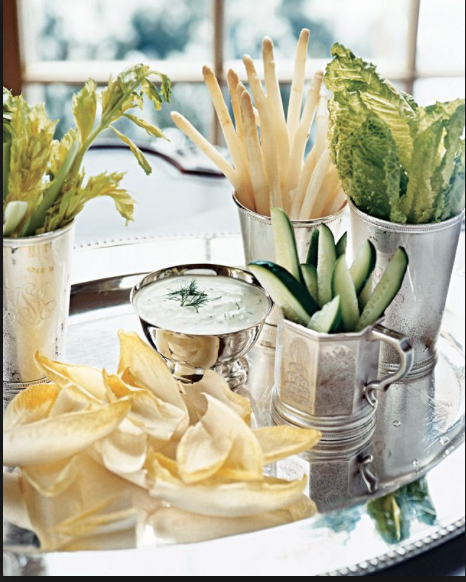 Do you place a bit of dip in the bottom first (such as a lemon remoulade)? 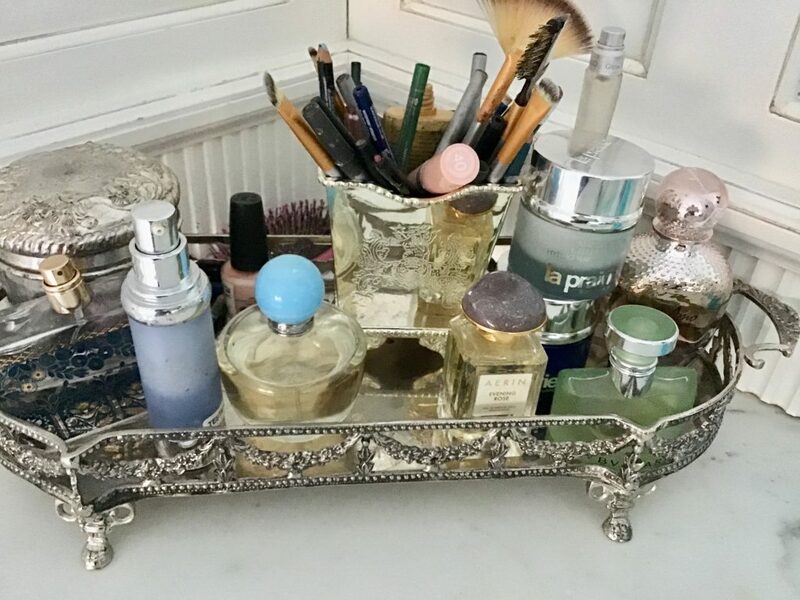 Love the inspiration of make up storage:vignette! 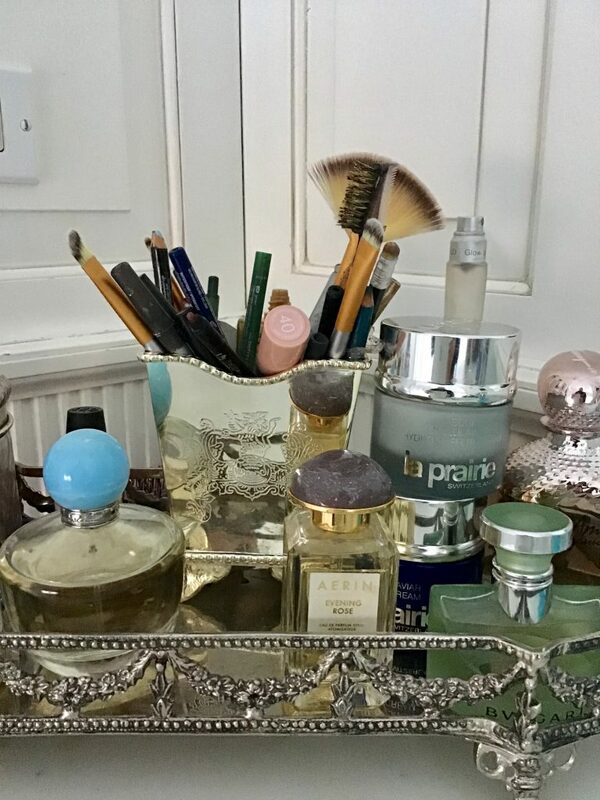 I like to make my “daily use” collection easily accessible instead of hidden away in a drawer with my “B Team” products. 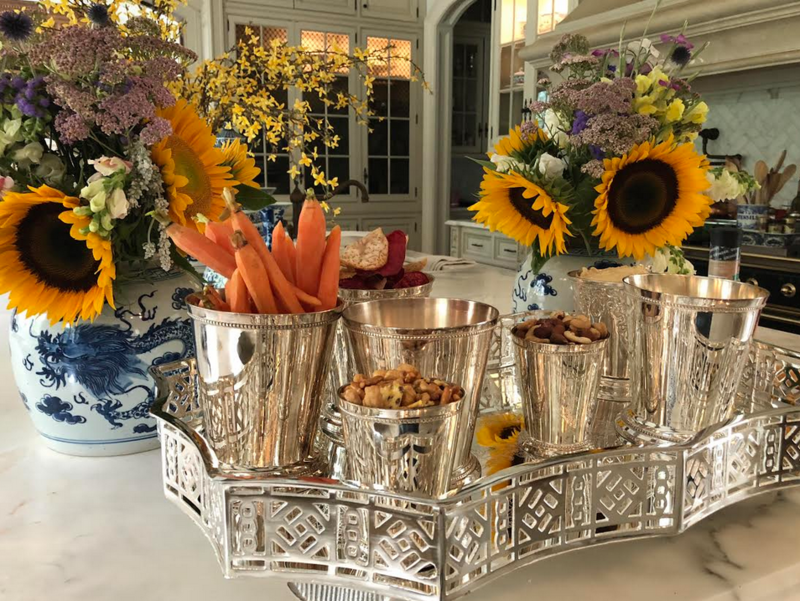 Even though I do use pretty containers within a suitable basket….mine always looks like clutter rather than a pretty display. Even more hints and pictures would be helpful. Your style is my style…but I’m not as creative. Love everything you do.Question: are the mint julips heavy at the bottom to keep them from tipping over with taller items such as makeup brushes? Thank you so much. I use them in our bathrooms as toothbrush holders. I love how the Julip cups can be used for appetizers. 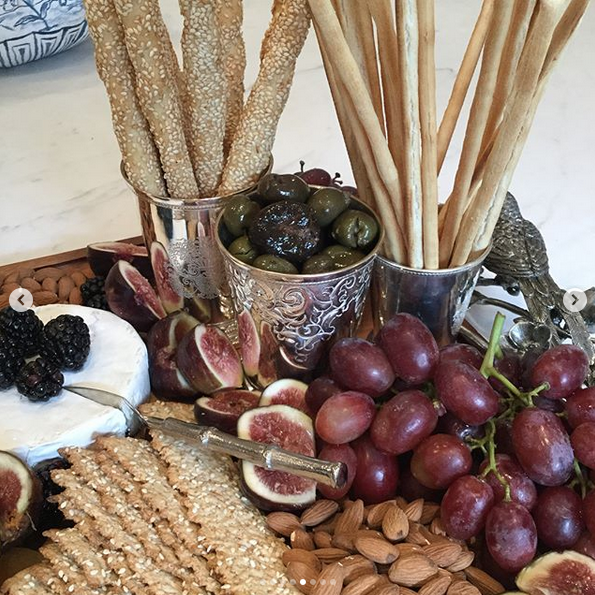 Great ideas to use for olives, breadsticks, veggies etc. 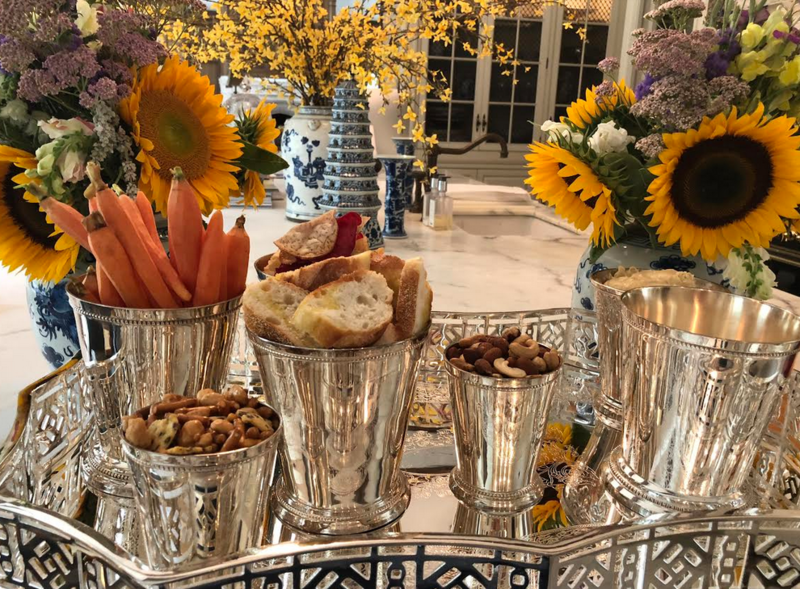 Nice display on silver serving tray. What is your trick on the mint julep cups to keep the insides from pitting when you fill with olives or the quacamole? I love all these great ideas and now want to order!! 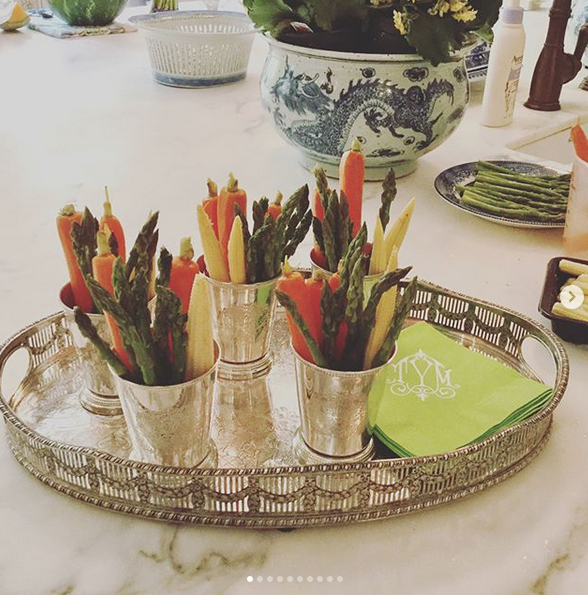 Do you sell the silver sides trays? I own several of the wreath design mint juleps! I absolutely loved them! 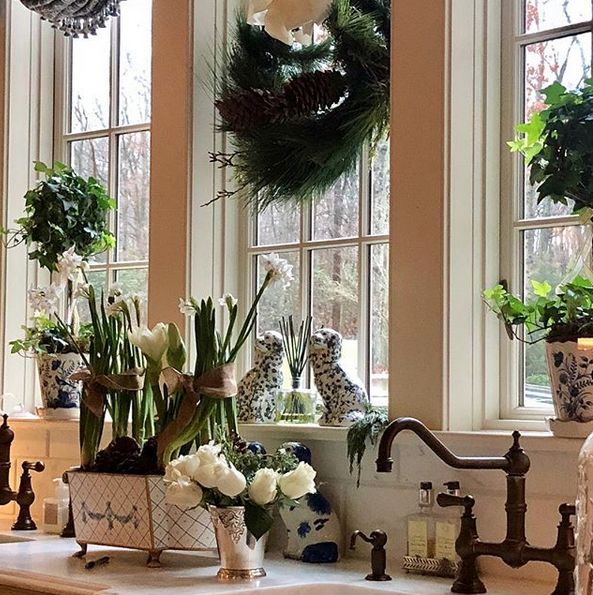 I added small potted poinsettias and scattered them around the house! It was gorgeous!! I have also used them to hold nuts and breadsticks at the bar. I want to purchase some with the acorn design! Excited to see if more designs will be added this year!